David S. is a Field Representative based out of our Hancock, WI location. 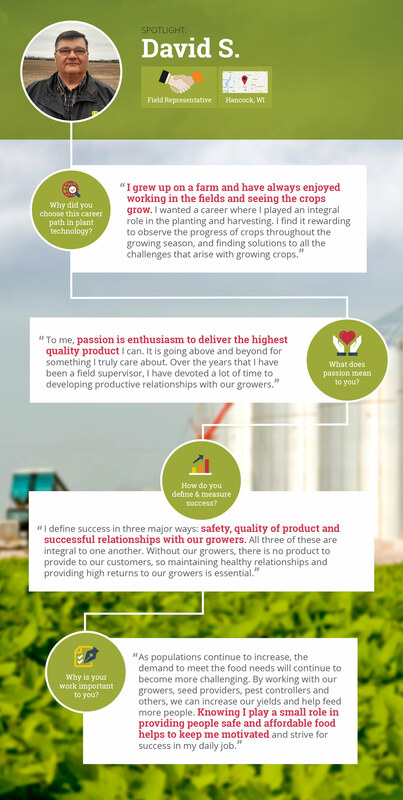 His decades of experience are an asset to Seneca, because it helps us continually improve operations and maintain relationships with growers. Michael P. is a Mechanic at our Hancock, WI location. He joined the Seneca team looking for employment, and discovered a passion that has impacted the success on our plant floor time and again.